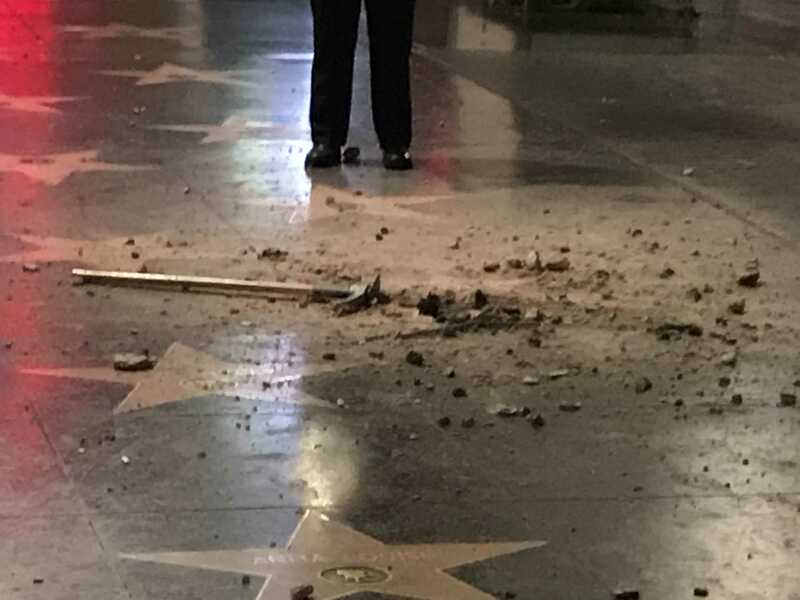 President Trump’s Hollywood walk of Fame Star was destroyed with a ax. 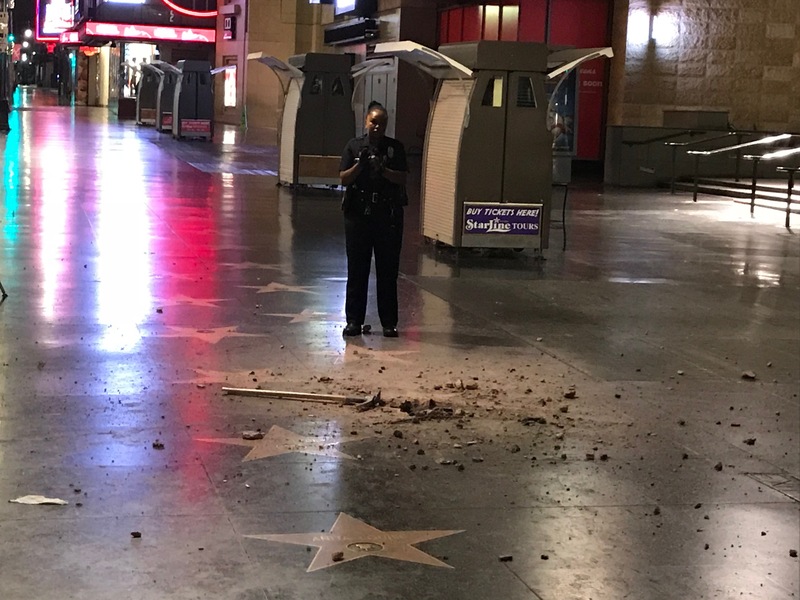 The suspect is at large. 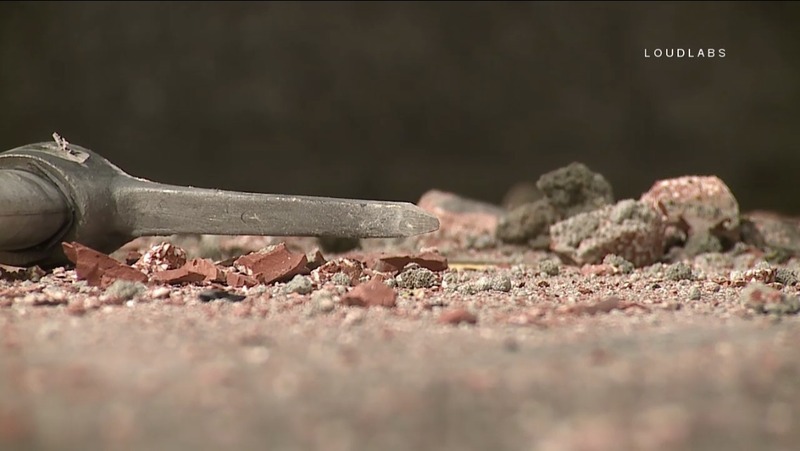 The weapon was left at scene. A female officer took the ax and put it in a guitar case that the suspect most likely arrived with. 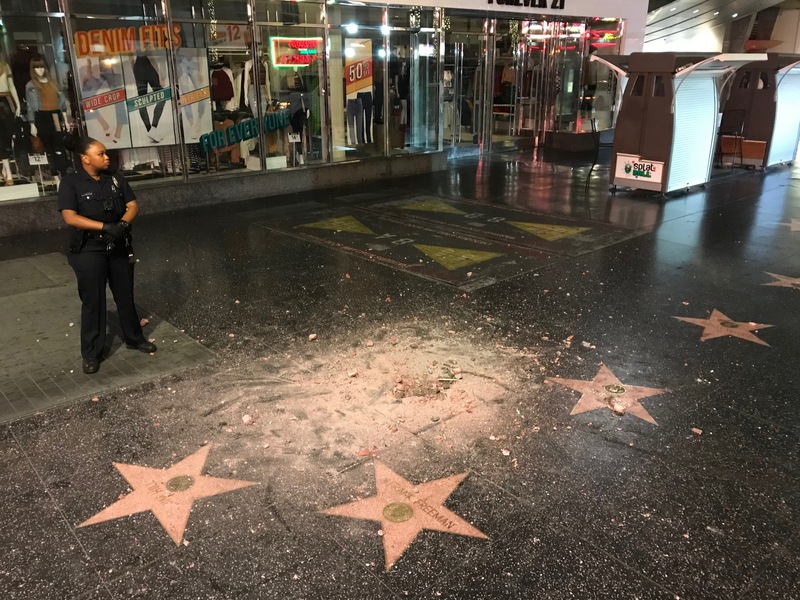 LAPD Hollywood is investigating.